The warming spices contained in this mediterranean dish complement the richness of the lamb, a great source of B vitamins. Both cumin and paprika a good source of vitamins and minerals such as iron, manganese, vitamin E, and A. The homemade salsa served on top contains healthful ingredients such as fresh basil and red onion to balance the flavor. Enjoy it cauliflower mash. Place the lamb cubes in a bowl, add the cumin, paprika and olive oil and season with plenty of salt and pepper. Toss thoroughly until the lamb is coated with the spices. Cover the bowl with clear film and set aside in the refrigerator for several hours, or overnight. 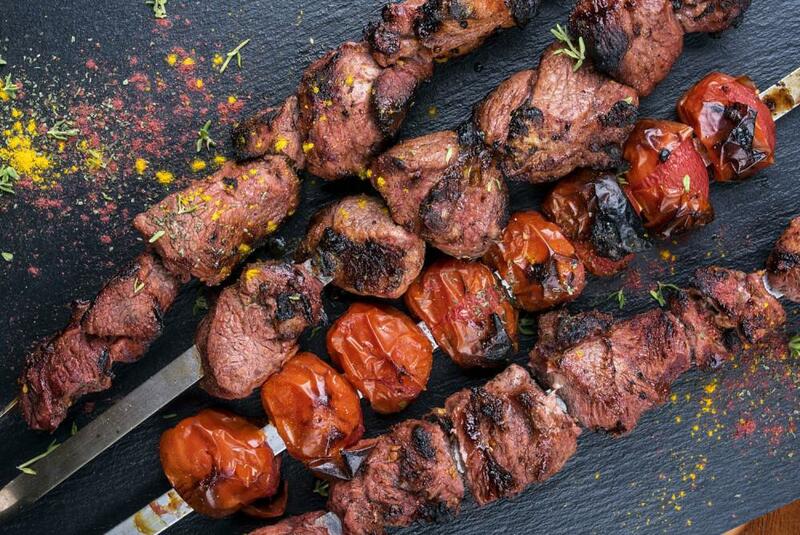 Thread the lamb cubes on to the skewers, if using wooden skewers make sure you soak them in water for at least 30 minutes to prevent them from burning whilst cooking. To make the salsa put the sliced onion, tomato, red wine vinegar and basil or mint leaves in a small bowl and stir together until thoroughly combines. Season to taste with salt, garnish with mint, then set aside while you cook the lamb skewers. Cook the skewers over the barbecue or under a preheated grill (broiler) turn frequently, for 5-10 minutes, until the lamb is well browned but still slightly pink in the center. Serve immediately with the salsa.